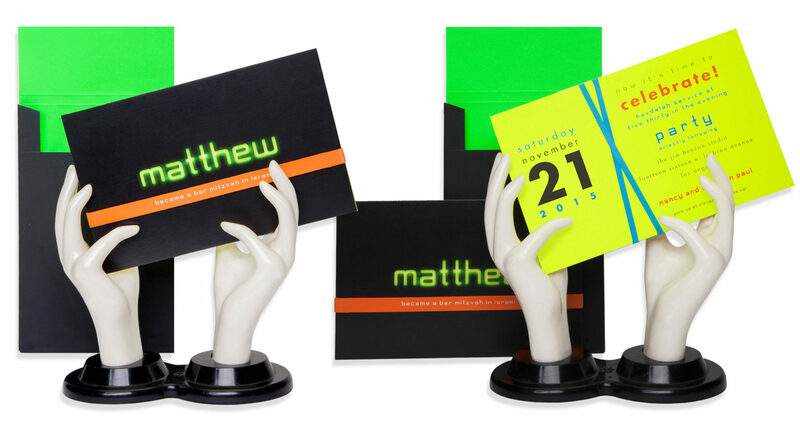 Following a spec-tacular neon glasses save-the-date, this bar mitzvah announcement continues the bold, vibrant color theme. 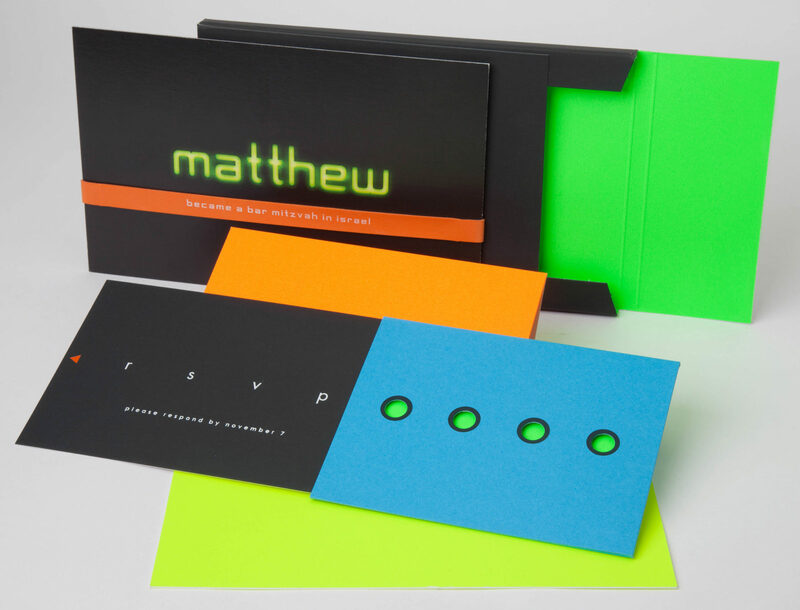 The black outer card glows with the boy’s name, complemented with a bright custom printed rubber band. 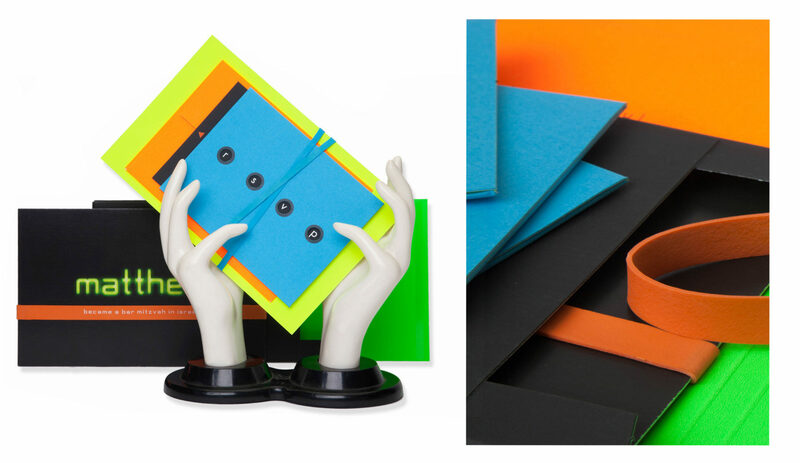 Slipping off the band reveals the fun, vividly colored materials within, including a pullout foiled return card inside a custom die-cut sleeve. 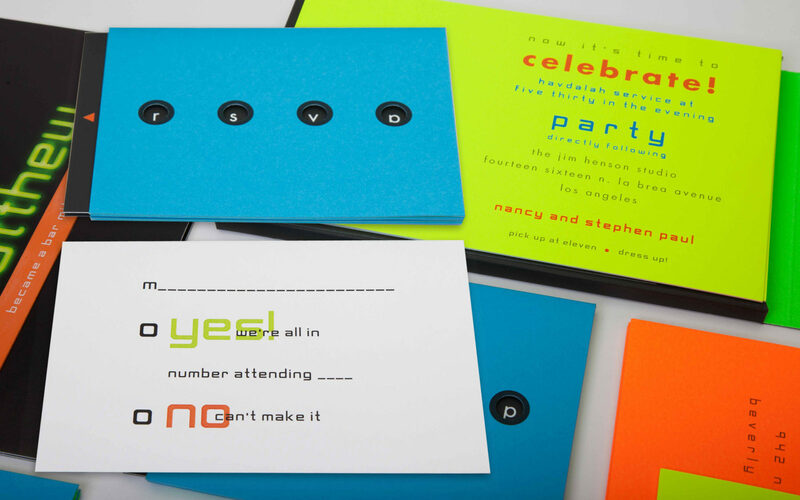 Responses are returned in a specialty-printed neon orange envelope, and the whole suite is mailed in custom neon green-and-black envelopes with gloss foil insert.